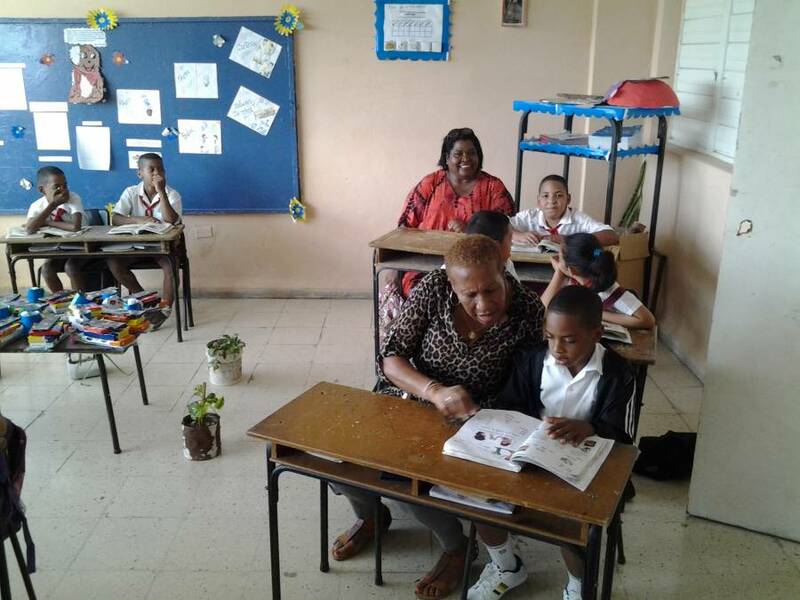 The Grenada Embassy in Havana continues to provide support to the Maurice Bishop School for Special Education. On Monday, 9 November, the school was the recipient of much-needed stationery supplies and paint. The contribution came from Sally-Ann Richards, a Grenadian national on vacation in Cuba. Sally-Ann Richards of Gouyave, St John, a Senior Tourism Professor at St Mary’s University, London, she said that she learnt about the school through the Embassy’s Facebook page and always wanted to contribute. An emotional Sally-Ann said she was really happy to visit and make her contribution to the school. 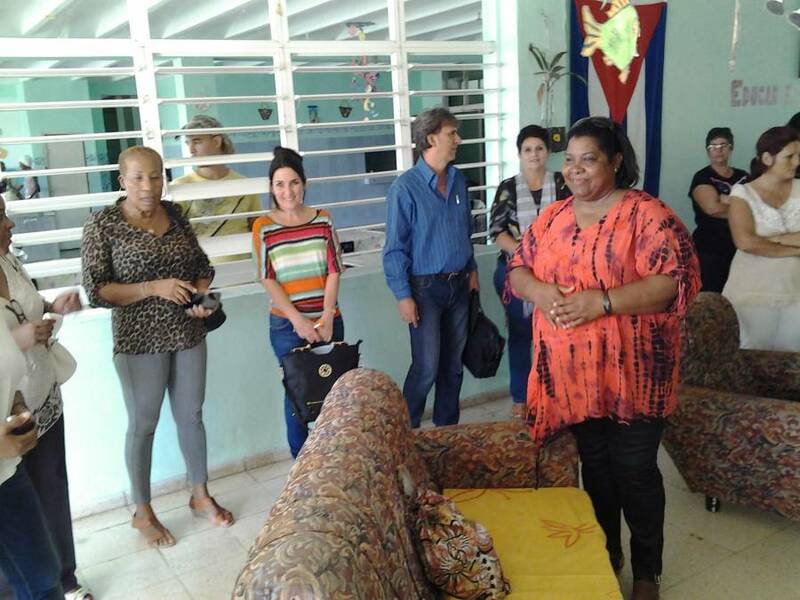 She was able to interact with the students and teachers, and to hear firsthand about the work of the school. 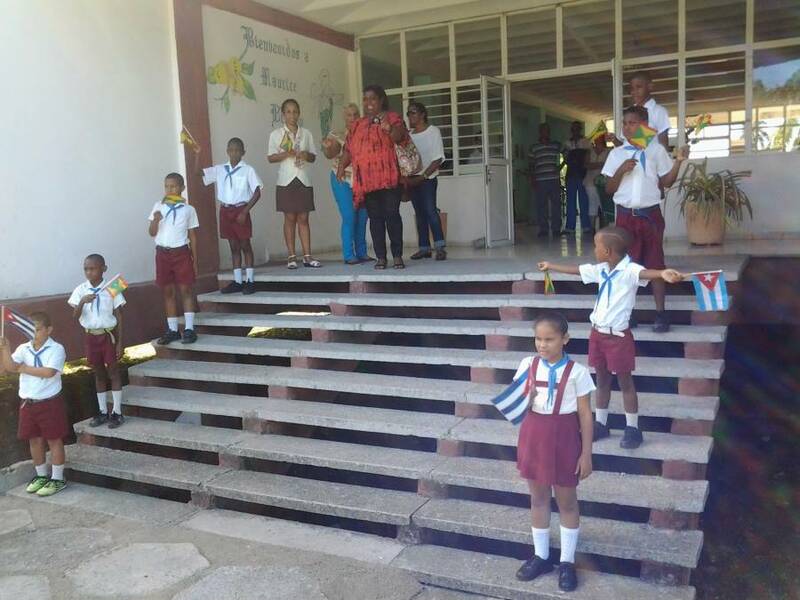 Miss Richards was elated to be at a school in Cuba named after a Grenadian, and this to her shows the love of the Cuban people for Grenada. She commended Ambassador Claris Charles, who has adopted the school and actively seeks support for it. She promised to return as well as solicit help. Ambassador Charles again pledged her support to the school and promised the Principal and staff, that she will be back to make another presentation in the coming months. 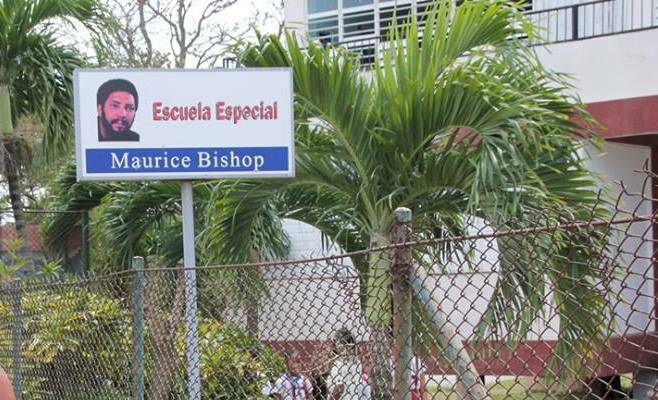 The Maurice Bishop School caters for children with special needs who sometimes are integrated into the regular school system. It is situated in the municipality of Guanabacoa in Havana.